Daceyville is situated about 6-8 km South of Sydney City on 336 acres between Gardeners Road and EastGardens Shopping complex (see map at end). 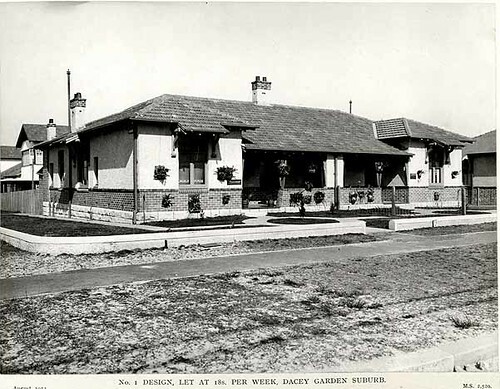 Daceyville was the first State Housing Project in New South Wales (NSW), built as a model village of workmen’s homes, as an example to shire and municipal councils – a rare social and architectural experiment of great influence on Australian cottage and public estate housing in the twentieth century. 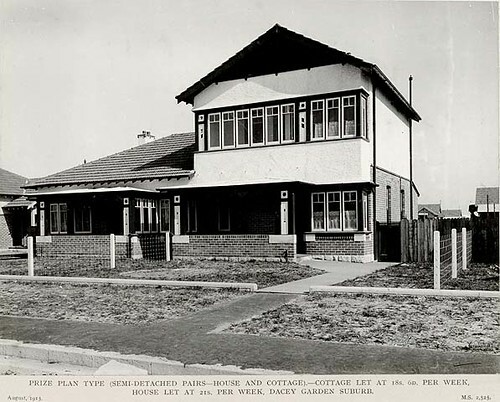 Initially designed by architect W H Foggitt under George McRae, Dacey Garden Suburb was intended to occupy 443 acres with a density of seven cottages per acre. It was to be a self contained residential unit and made provision for shops, schools, churches, amusement halls, police and fire stations and a technical college. No sites were set aside for industrial or manufacturing activity. 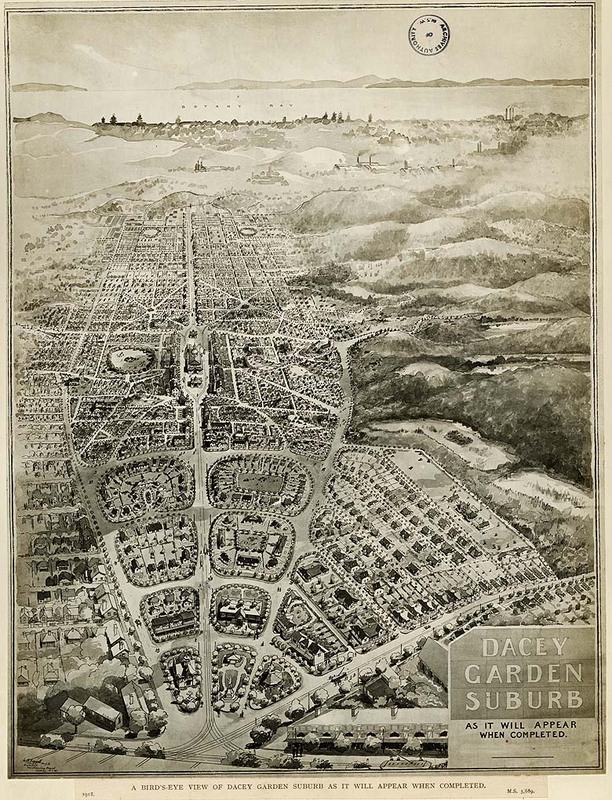 In 1912 John Sulman, in association with John Hennessy, made the first in a series of modifications to the suburb plan, suggesting the location of the major public buildings. W H Foggitt designed the first houses, whose construction materials, colours and forms – hipped and gabled roofs, overhanging eaves with exposed projecting rafters and deeply recessed verandahs, we now call Federation Style. Government architect William Foggitt revised Daceyville’s blueprint in 1914. If you stand on Cook Avenue today, facing away from the Kingsford roundabout, Sulman and Hennessey’s Daceyville lies to your right and Foggitt’s revised suburb to your left. These latter streets are smaller, curvier, and ‘friendlier’ than their predecessors. Explore Foggitt’s Daceyville further, and you will come across Colonel Braund Crescent, Australia’s first planned cul-de-sac. “The Housing Department of NSW has recently undertaken major infill developments, in which great pains were taken to design in harmony with the older buildings and rehabilitation of 170 existing cottages.